Jeff Schettler is a retired police K9 handler who worked for the City of Alameda and County of Amador in California, and was attached to the FBI’s Hostage Rescue Teams’ K9 Assistance Program for two years. This program was designed to locate and apprehend high-risk fugitives on the run. Jeff has worked hundreds of trailing cases across the USA and is a specialist in the areas of tactical trailing applications. 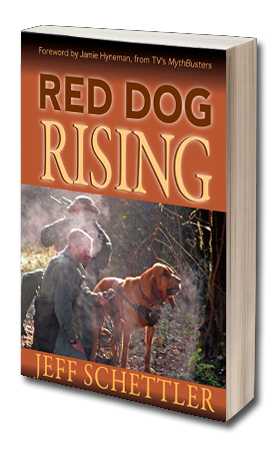 He and his police bloodhound, Ronin, made numerous successful finds during their 11-year career. Jeff has trained under many well-known manhunters, including Jerry Yelk,, Glenn Rimbey, Jerry Nichols, John Lutenberg, John Salem, and Doug Lowry. 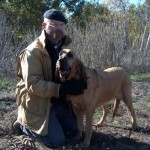 Jeff is considered a law enforcement expert witness in the areas of scent evidence and trailing with bloodhounds. He has qualified as an expert in the counties of Santa Clara and Alameda in California. He has also corroborated in court other police K9 handlers trailing training and experience. 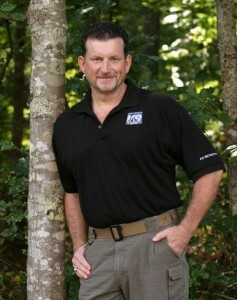 After leaving the police force, Jeff founded TacticalTrackertTeams.com and later integrated it with the Georgia K9 National Training Center, LLC with his partner Kelli Collins. 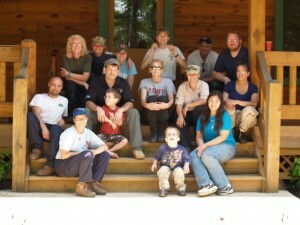 Georgia K9 National Training Center is a specialty K9 training company with nationally recognized dog trainers and clients across the country. 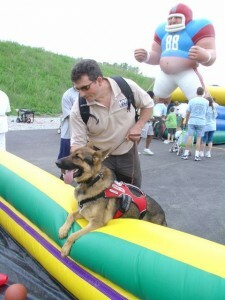 GAK9.com offers a variety of services, each tailored to fit the needs of civilian, law enforcement, and search & rescue dog owners and handlers. Jeff rarely relaxes at his home/ dog training facility in Canton, GA; there are just too many dogs running around. He has recently expanded his K9 horizons and begun training Basenjis to find narcotics and explosives. His series of nine articles called the “Hunter Basenji Chronicles,” covering the use of the Basenji for hunting and detector dog work, were published in the Basenji Magazine. I have always believed in doing things a little differently. I like to walk up the side of the mountain without the foot trail, fish the portion of the stream everyone else ignores, spot and stalk when hunting rather than sitting in a tree stand., and I often question why it is we do the things we do. Was it really the best way? Or, was it simply due to the fact that everyone else had taken that particular route before and why the heck should the pot be stirred? I have one memory that sticks out in my head that exemplifies my lack of “herding skills” more than just about any other. When I was a deputy in Amador County working patrol, a couple of sergeant positions opened up. I was encouraged to test for the position even though I knew I would never really be considered. I was definitely qualified but that was not the issue. I questioned too much. Not for the sake of the question but more due to an insatiable curiosity to know the reason why! You have all heard of the phrase “Curiosity killed the cat”. Well, it certainly killed my political career in law enforcement. The sergeant position was not mine to have; imagine that, and shortly after that announcement, a cartoon was taped to the window above my desk. The picture was of a school of “Goldfish”—cracker style cartoon fish—all in a neat formation facing towards one single gold fish swimming in the opposite direction. I guess that summed it all up quite nicely. My work with bloodhounds was a perfect example of that philosophy. Instead of taking up the traditional K9 handler position with a police patrol dog, the norm of law enforcement in general, I chose the floppy eared, slobbering hound. I had not chosen this dog only to be different. I had watched normal patrol dogs in action and was often disappointed in their ability to track missing people or runaways. After watching a television show about hounds, and one really interesting case in particular, I decided to research the breed and try one on for size. I was to learn later that it was not so much the breed that mattered but the training the dog received. However, I did suffer consequences because I bucked the system once again. Not only had I chosen to be different, I stayed the course. Even, in the face of some serious opposition throughout my bloodhound career, I kept at it because I knew it was the right thing to do. One of my very good friends who is also in RDR, Matt Broad, sent me a quote that summed it up for me quite nicely. It also made me feel a lot better about the rocky road I traveled. You see, Matt and others of my kind had all chosen to do things a little differently, we all faced opposition and outright hostility, yet went on to succeed regardless of the flak. So, if I have a philosophy in life or a credo of some sort, perhaps it would have to be Theodore Roosevelt’s or Rage Against The Machines’ “Renegade”. And, if I were ever to have advice for anyone about anything at all it would simply be to take the path less traveled. It will probably be more interesting, anyway.